This past weekend was jam packed but I loved every minute of it! There was cheering, family time and new accomplishments that were made I had the honor/privilege of watching my sister and friend run their first ever 10K on Saturday and to say they did amazing is an understatement! They knocked their goal time out of the water and came in 4 minutes faster than anticipated! Talk about AWESOME! So proud of them! For me race day was an emotional swirl. Due to some hip issues I was unsure of myself and if I would be able to compete up to my standards. I didn't feel as though I had trained properly and I was nervous that 10 miles would be to much! To say I was anxious for race day and my results is a big understatement! I spent my entire Saturday night in visioning myself running victorious across the finish line and you know what I think that really helped! I honestly cannot tell you much about the race because it is such a blur! I can tell you it was the best race I have ever run, the weather was beautiful (sunny and the perfect running temp) the course amazing and my cheering section the best I could ask for (they even got to the race start an hour early with me, nerves got the best of me)! It is hard for me to think that I signed up for the TC 10-miler lottery over 3 months ago, not even sure if I would be selected to run! There are so many emotions that I felt as I neared the finish line and looked at my watch time. I was relieved that I completed all 10 miles without walking and with no hip pain. I was overjoyed and ecstatic because the run felt so amazing. I was energized by the crowd and seeing my mom, sister and Derek right there at the finish line cheering me on and felt blessed that they braved the early and very chilly morning to cheer me on. I felt accomplish and almost cried when a guy told me “Great finish, thanks for getting me to the finish line” seriously those are the best words a runner could hear from a fellow runner. And most of all I felt a since of pride that I could push my body that much to reach a goal I wanted with every fiber in my body! Seeing my unofficial and official time just about brought tears to my eyes as I set a new PR for myself – coming in 2 minutes faster than my previous 10 mile time! 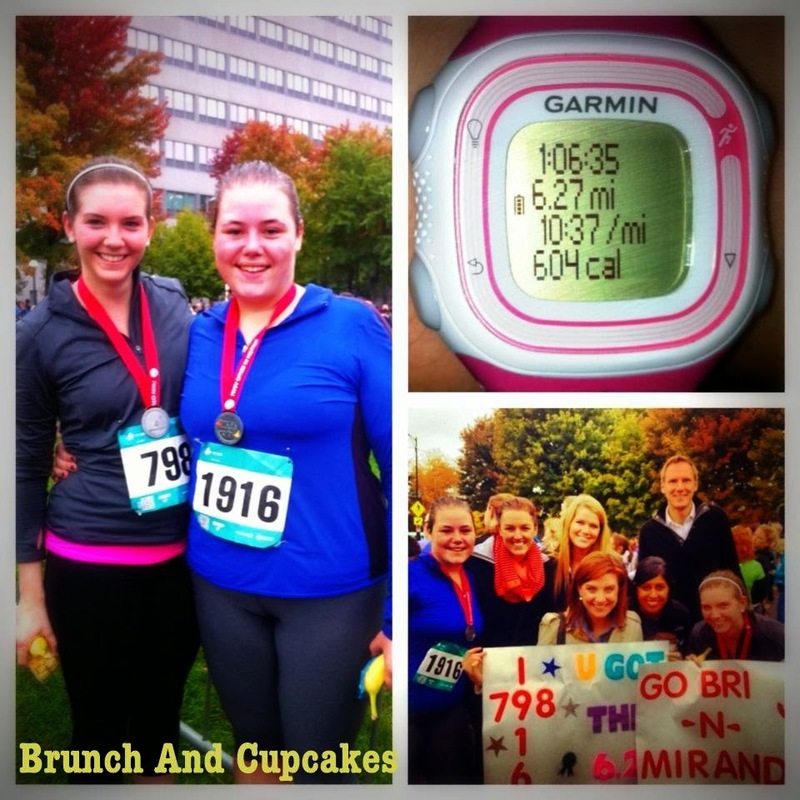 My new time and PR far surpassed my goal time that I was hoping for this race! I still cannot believe that my stats are real and that I ran that well. I don’t think I could have done it without the support and love from my family and friends! ** Side note I actually found my 10 mile training program that I had printed out and I wrote that my goal for this race was to shave a minute off my overall time! I shaved off two! So with that my new years resolution has been completed. But don't think that will be the end of my race running! 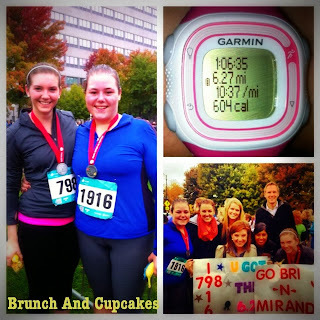 Check out a few more races I would like to do! Strive 10 miler (read about it here – the first 10 miler I ever did) - Taking places Nov 3rd - less then a month away!! Congrats Hill! I'm so happy for you!